Many of us live fast paced lives; lives where we receive many emails and various forms of advertising, we find we just don’t have time to read everything that comes our way. However, to keep your business, be it small or big, in the attention of the public, use an email newsletter to keep your targeted audience informed and updated on what you are doing with your business. These days, many forget what they see online but if you present your business in an email newsletter, they may be more inclined to open your newsletter to see what you’re offering. For an email newsletter to be effective, it needs to be presented to your regular and potential customers, often and in a bold and interesting way. Newsletters do not have to be full of endless amounts of information. Keep them to the point and on topic. Having specific focuses on newsletters increases your chances of having more readers compared to a newsletter that is all over the place. Your newsletter is your virtual flyer. Customers register for your newsletter because they want to know what’s going on. 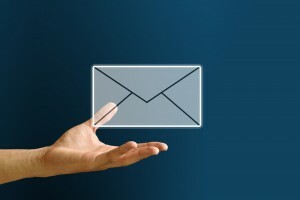 To ensure that your email marketing newsletter is done correctly, you may want to check out an email marketing service. With this kind of service, you will find that a template can be designed that make creating a newsletter easy, quick and fun. Or, you can hire a freelance writer. With an email newsletter, you will find customers coming back for more and that means more money coming in. For customers to come back to your business offerings, they need to see your name on a regular basis; that way they will remember you and will return to your site for the products you are selling. Not only will your revenue increase, by you will have referrals coming to you from existing clients. Email marketing, when the format is clear, insightful and informative, can be a great way to get your message out. In addition, business email newsletters are a great marketing and advertising tool.